followed this recipe pretty much exactly! except used freshly squeezed oranges. yum! 1. Preheat the oven to 350 degrees F (175 degrees C). Grease a 12 cup muffin tin, or line with paper liners. 2. In a medium bowl, stir together 2 cups flour, 3/4 cup white sugar, baking powder and salt. In a separate bowl, whisk together the vegetable oil, orange juice, buttermilk, vanilla, and eggs. Pour the wet ingredients into the dry, and mix until just blended. Some lumps are okay. 3. Fill the prepared muffin cups halfway with the batter. 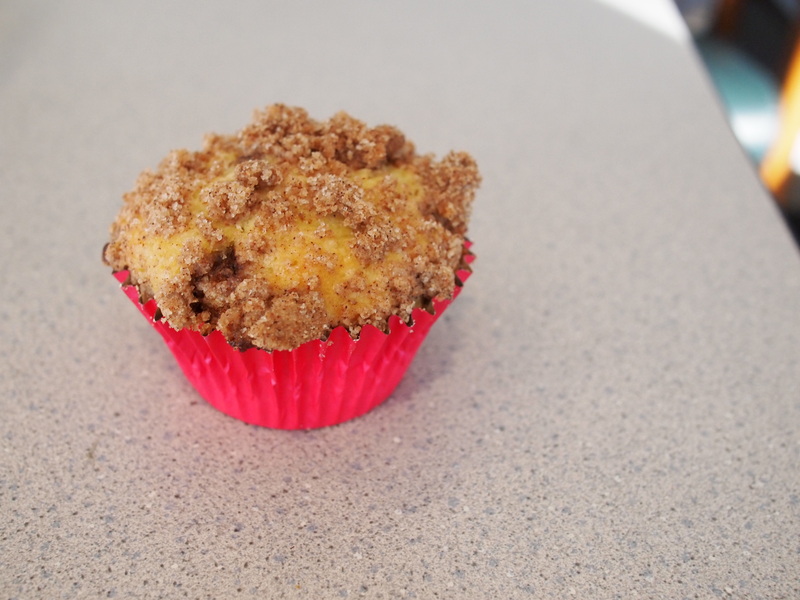 Combine the brown sugar, and 1 1/2 teaspoons cinnamon; sprinkle about 1/2 teaspoon of the mixture onto each half-full muffin cup. Spoon batter over the cinnamon mixture so that the muffin cups are 2/3 full. In a small bowl, mix together the remaining 1/4 cup flour, 1/4 cup white sugar, 1 1/2 teaspoons cinnamon, and the butter to make a crumbly mixture. Sprinkle this generously over the tops of the muffin batter. 4. Bake for 20 to 22 minutes in the preheated oven, until a toothpick inserted into the crown of a muffin, comes out clean. Cool in the pan, over a wire rack. happy hollandaise Create a free website or blog at WordPress.com.